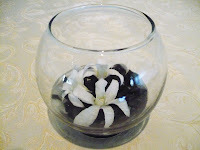 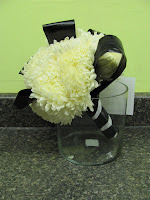 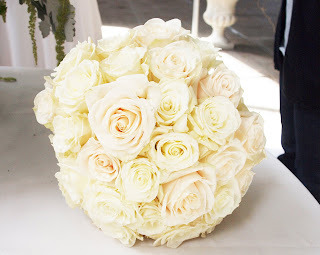 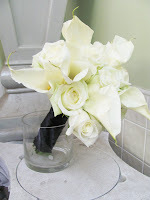 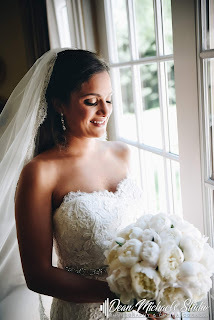 Bridal Bouquet: White orchids with fuschia centers, and black callas. 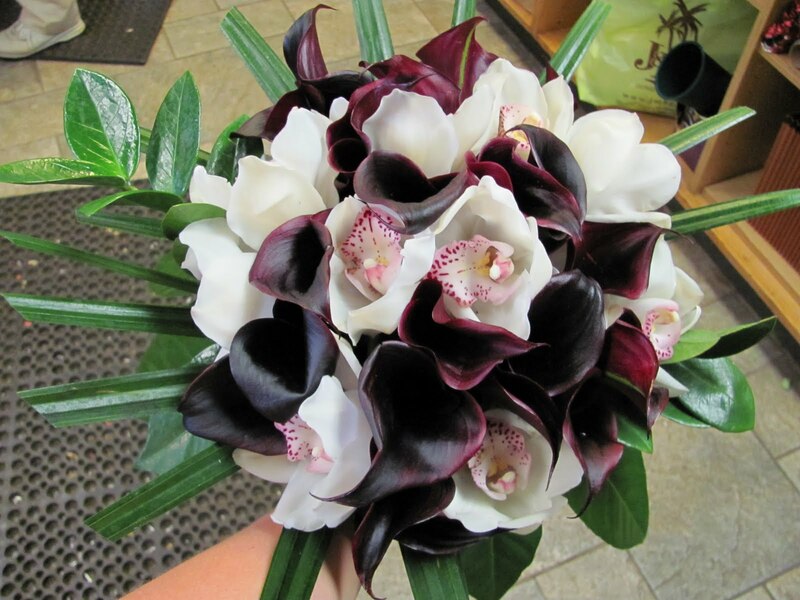 This way of doing black and white is by using the dark eggplant colored calla lillies and the white orchids and fuschia accents. 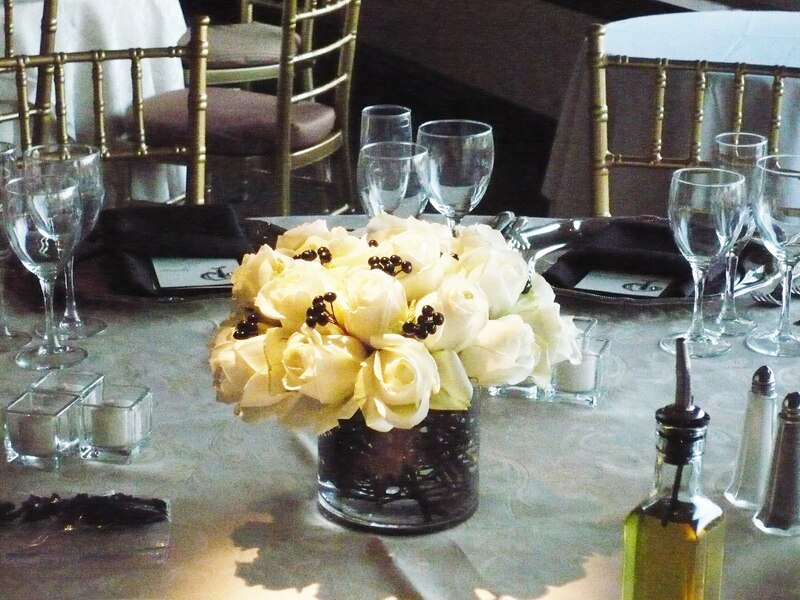 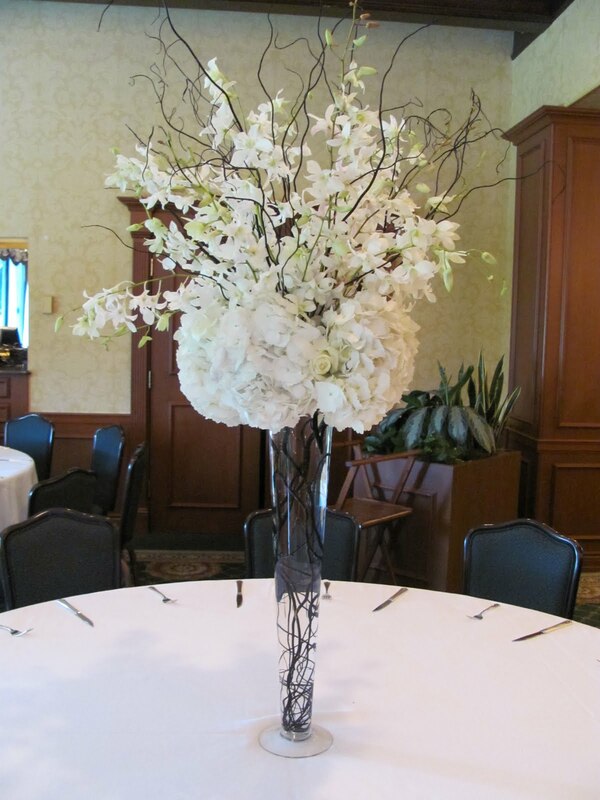 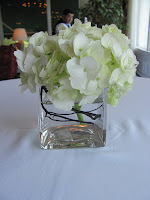 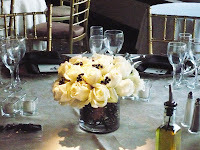 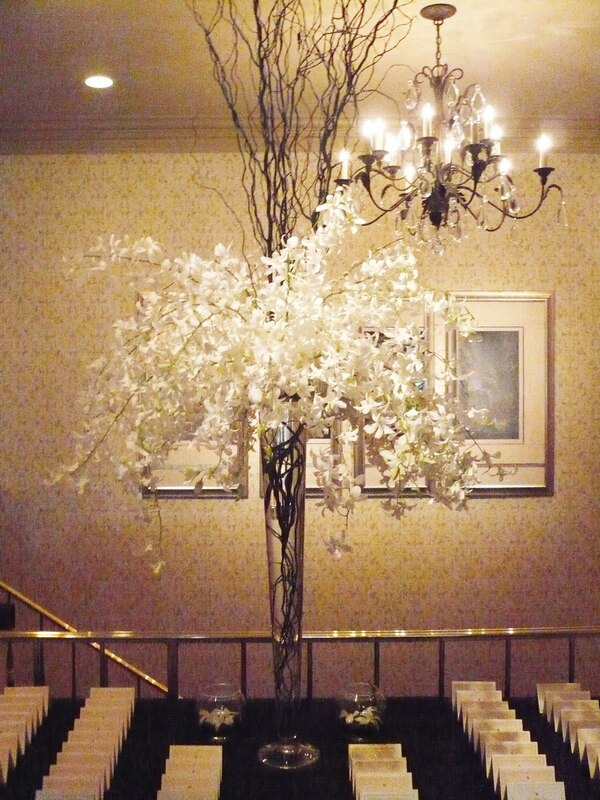 Tall Centerpiece: White orchid spray coming out of the top with black culry willow sticks and a white hydrangea and rose cluster on a fluted vase with the black painted curly willow inside.